PM Narendra Modi offered prayers to Lord Lingaraj in Odisha’s Lingaraj temple.prior to his visit to the temple, PM met the families of freedom fighters who were part of the Paika rebellion against the British East India Company in 1817. 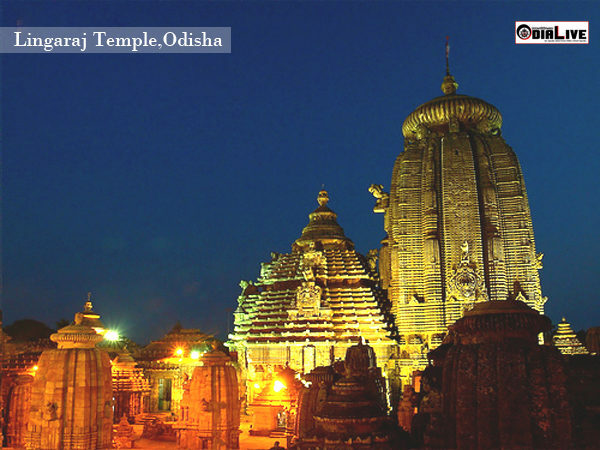 The Prime Minister spent around 25 minutes in the 11th century temple premises.He offered flowers, bel leaves, milk,coconut water and water to the deity.He also visited the temple of Goddess Bhubaneswari and Parbati. Before his visit to the temple, Modi met the families of freedom fighters who were part of the Paika rebellion against the British East India Company in 1817. He felicitated them at the Raj Bhawan.Modi arrived in Bhubaneswar on Saturday to attend the two-day BJP National Executive meeting that began later in the day. He also held a roadshow ahead of the meet. The Prime Minister will address the concluding session on Sunday. Video Courtesy : Kanak News .